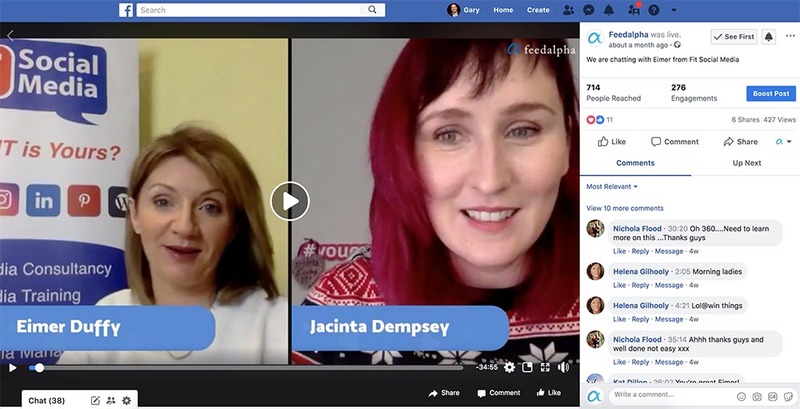 Have you ever watched a Facebook live video and thought to yourself that you would love to keep a copy of it for later. Sometimes we see a video that offers huge value but because it’s in our Facebook feed it will be gone in no time at all. Wouldn’t it be great to be able to download that Facebook live video and keep it for review and watch again later? 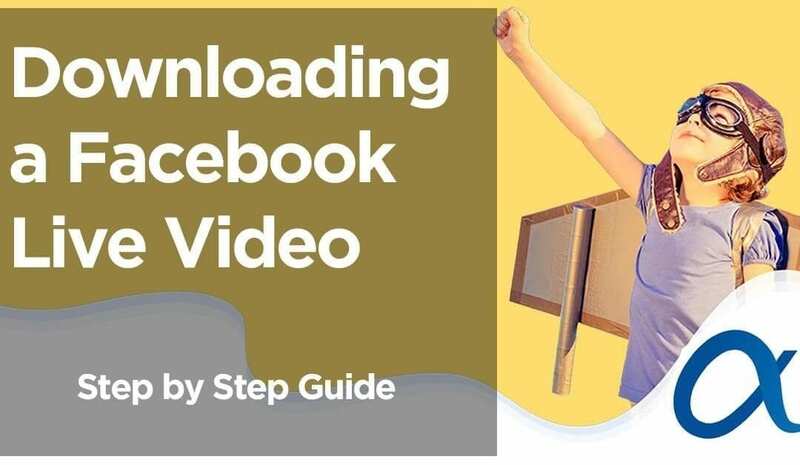 Downloading a Facebook video is simple. You just need a free tool or a bit of know how and you are good to go. Here is a quick video showing you how to download your live videos. The quickest way to find your videos is to go to your page and click on the Videos tab in the left sidebar. If you are trying to grab the video directly from your feed then you need to use the timestamp link instead. Click on the time above the video and this will open everything up in a new window. Now that you have the video open in a new Window we can move on to the next step. You will know you are in the right place because you will see all the video comments in the right column. Once you have access to the video, either through the Videos tag on your main page or via the popup video from your feed you just click the three little dots in the righthand corner and select download from the menu. The video will then download to your computer in MP4 format. But what happens if the video is on somebody else’s feed and you want to save a copy for later. Step 3 shows you exactly how to do this. 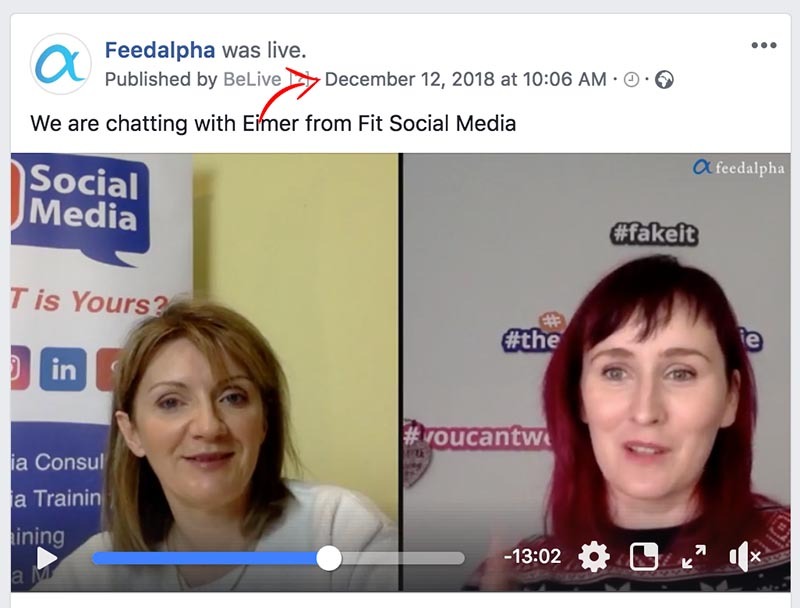 You will often see a Facebook live video on somebody else’s feed and want to save it for later. 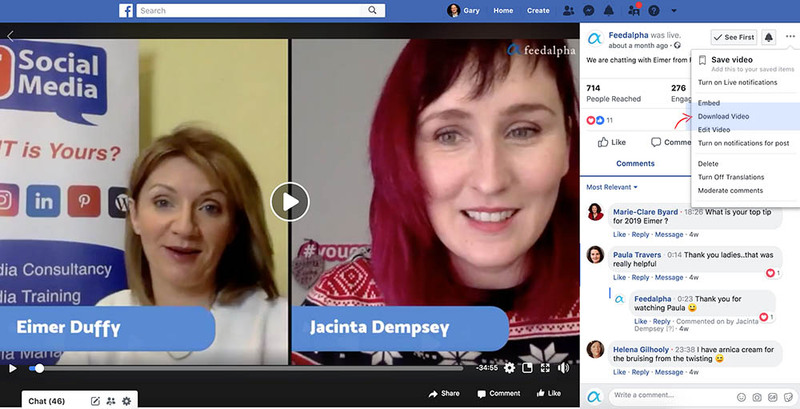 This is not quite as straightforward as saving your own Facebook live content but there is a handy tool/site for doing just this. You just drop the URL of the video into the search box and hit the ‘Download’ button. The video will now download to your computer. Where can you use the downloaded video? If it’s your own video you can upload it to Youtube and add it to your channel. You can also use it for posts and other Social Media channels to promote your business. You can get the video transcribed and turn it into a blog post on your website. This is a great source of content and because you have a video to back it up you are on a winner. *If it’s a video you downloaded from somebody else’s page you will need permission. Make sure you have explicit permission before you post or use the video anywhere. I always wondered if I could download my videos. I will be using this technique to build my YouTube channel straight from Facebook videos. Yes, it’s a very handy way to repurpose your video content across multiple platforms. The one big problem with Facebook videos is they tend to get lost in your feed very quickly. Grabbing a copy for offline viewing or to stick up a Youtube channel is super. Should We Just Write-off Email Marketing?